You can add horizontal rules at the beginning or end of a paragraph. The command is not readily available, however, and you will have to add it to the toolbar. Here's how to do so. This process also works in Publisher 2013 & 2010. Step 1:Open Publisher. 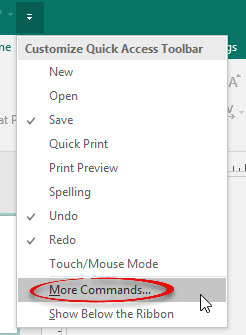 Click the Customize Quick Access Toolbar button in the upper left corner. 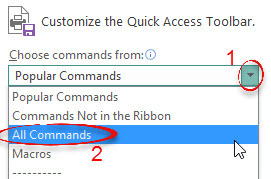 Step 3:Under Choose commands from, select All Commands from the dropdown list. 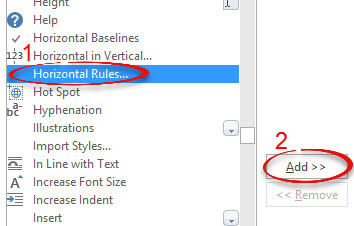 Step 4:Select Horizontal Rules... from the list (they are in alphabetical order). Click Add>>. 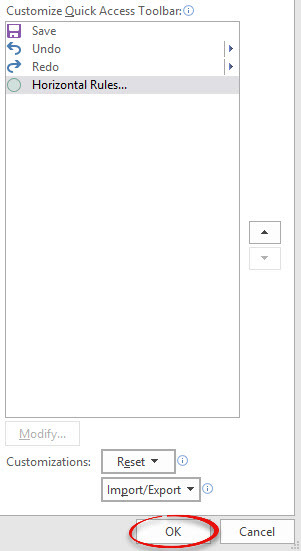 Step 5:Horizontal Rules... will be added to the Customize Quick Access Toolbar box. Click OK. Step 6:The Horizontal Rule button is placed in the upper left corner next to the Undo/Redo buttons.